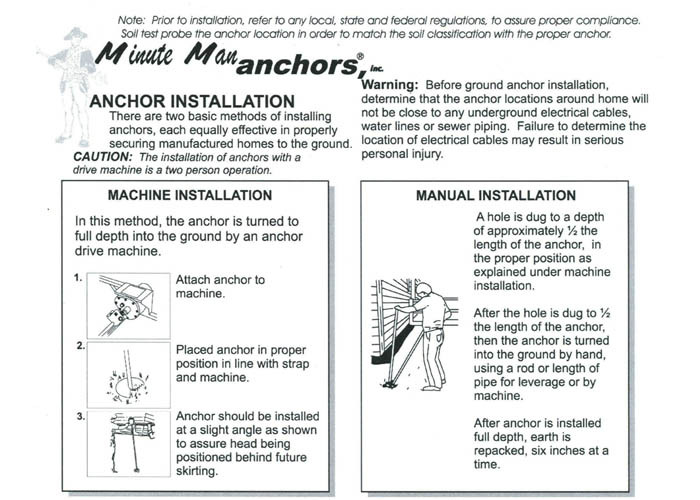 American Supply is proud to sell Minute Man Anchors and Systems. Made in the USA, and Manufactured in North Carolina. If you want it to be there when you get home, tie it down with Minute Man Anchors and Systems. 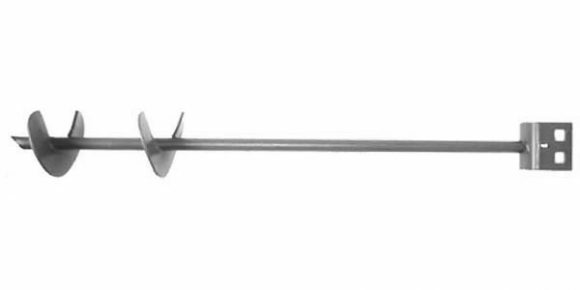 Double bolt head anchor with two square holes for locking slotted bolt welded to a 30″ 3/4″ galvanized rod with two 4″ helix welded to rod. Galvanized to prevent corrosion. (Required in some areas) Sold 8 per bundle or one at a time. Slotted bolt and nut not included. For installation in corrosive medium and hard soil conditions.